On Sunday, Los Angeles Lakers signed a four-year, $153.3 million contract with free-agent forward LeBron James, a four-time NBA MVP and a three-time NBA Finals MVP. West coast basketball fans have something to cheer about. The superstar, who has played in the past eight NBA finals, will try to bring another champion title to the Lakers franchise. The 33-year-old is making the move following the Cavs' 4-0 defeat by the Golden State Warriors in this season's NBA finals. Los Angeles Lakers didn't make it to the playoffs once again this season. 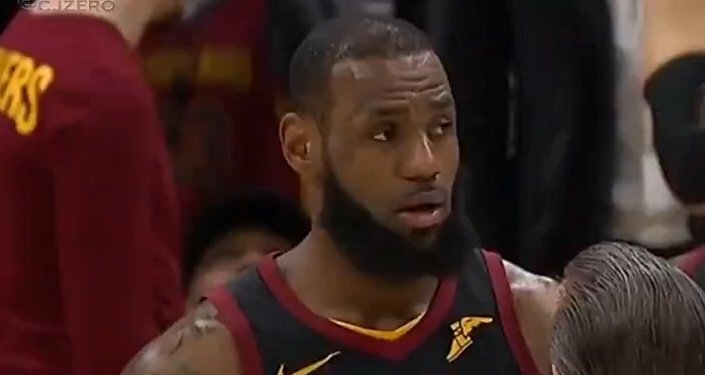 During his 15-year career, the Cleveland Cavaliers' all-time leader in games played has made nine appearances in the NBA Finals, including the past eight Eastern Conference championship rounds. Twitter has exploded after the announcement that the legend would leave the Cavs. — ᏢᏞᎪNᎬᎢ ᏞᎪKᎬᎡᏚ (@Lkrs4Life702) 2 июля 2018 г. — Dodgers Nation (@DodgersNation) 2 июля 2018 г.
Kobe Bryant on the phone with Magic talking about coming out of retirement to play with LeBron James. — Cameron Grant (@coolghost101) 2 июля 2018 г. — FreshPrinceFreddy💰 (@TheAceBoogie) 2 июля 2018 г. — Legendary Lakers (@goldlakerss) 2 июля 2018 г. — The Ringer (@ringer) 2 июля 2018 г. — DavisTheLaBronStan (@imdavisss) 2 июля 2018 г.